SNAFU! : Governor of the Virgin Islands signs executive order allowing seizure of firearms? Is this true? 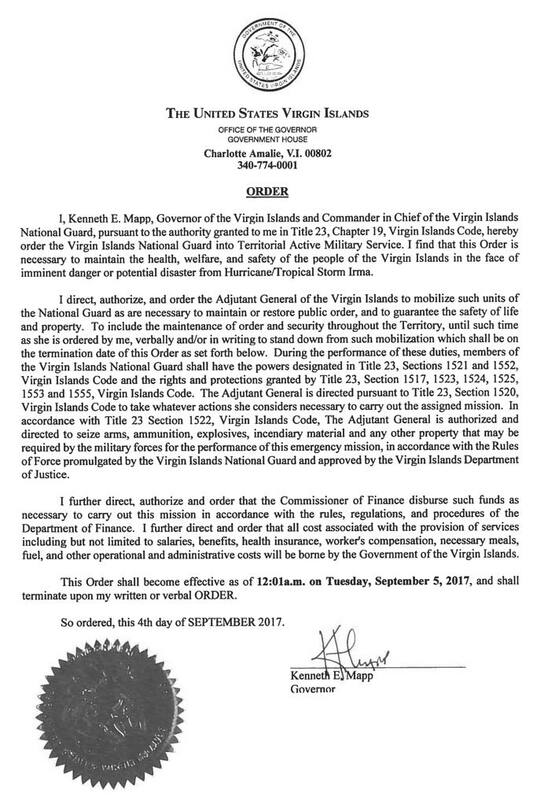 Governor of the Virgin Islands signs executive order allowing seizure of firearms? Is this true? Story via OffGridSurvival (read it here). Is it legal? I know that the federal govt has claimed all kinds of weird, illegal and downright dangerous powers during emergencies but seizing weapons? They better send a reinforced regiment with air support. Not only no, but hell no. This is how you turn a guy that tries to follow the law into a criminal! Note. I sincerely hope I'm getting punked here. If you have any info please comment right away!